After competing the entire game on Monday, Jan. 28, against Delcastle, the girls' basketball team forced an overtime situation where they lost by two. Using the momentum from that exciting performance, they bounced back on Wednesday, Jan. 30, against DMA, earning a well-deserved win. 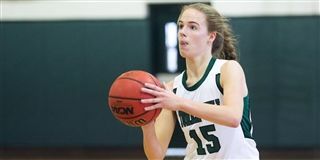 The Hillers also beat St. Andrew's School 45-27 on Tuesday, Feb. 5.